We made history last night. For the first time on Hawaiian soil, a table of Bitcoiners broke the proverbial bread and waxed romantic about the crypto-currency we love so dear. There were a total of 8 Bitcoiners that showed, 2 being women! That 25% ratio left me more than optimistic. Skipping the formalities, we jumped right into our experiences, our hopes, and our mutual excitement over Bitcoin. We had perspectives from all walks: programmers, Libertarians, the finance sector, techies and miners…even 4chan was repped hah! Despite our lack of an agenda, the information exchanged between everyone was constructive and genuine. Mister P had convention swag and Bitcoin Magazines on display, including souvenirs from his recent trip to Butterfly Labs. There was talk about silver trading, T-bills, state of the economy and government control, possible Bitcoin projects, and how Hawaii’s businesses could benefit from Bitcoin services like BitPay. 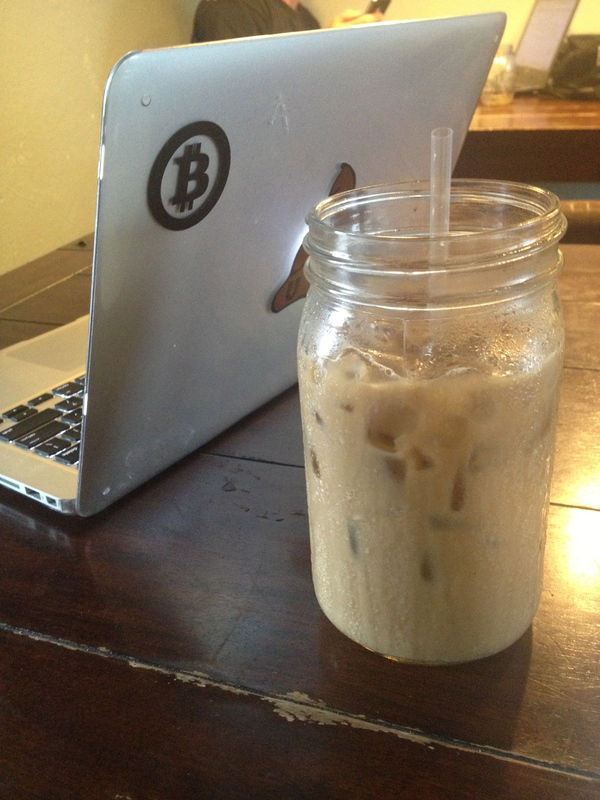 The coffee chatter led us to a collaborative mission to seek out potential merchants/restaurants that would be interested in accepting Bitcoin. It was a short and sweet meetup, and we sent everyone on their way with some Bitcoin decals to adorn the islands with the Bitcoin message. Everyone there was super cool, and I can’t wait for our next get together so we can get to know everyone a little better, and hopefully meet more Bitcoin islanders. My only regret is that we didn’t take a group picture with the inaugural attendees. If you happen to be on Oahu, or plan on visiting in the future, join us!